I love Historical Asian Dramas. They not only allow you to travel in time far from your modern life worries, but they are also a visual delight. The costumes, the gorgeous settings and the beautifully styled actors make me want to snapshot almost every scene and fill my room with posters from the dramas. Also everything seems more intense. Intrigues are bloodthirsty, battles are epic and of course love is powerful and everlasting. Not to mention the love triangles, my personal favorite Asian drama cliches, that are deadly and excessive. I also like historical dramas for the guaranteed eye candy, and handsome men running around with swords is something worth a look. But let’s face it, the traditional long black hats and pink robes make men look like crazy witches in Joseon-era historical Korean dramas, and even Hawick Lau can’t seriously rock a half-bald Qing dynasty hairstyle. Thus, I was always avidly hunting for pre-Joseon, or Goryeo era Korean Dramas (such as Empress Ki) or pre-Qing historical Chinese dramas. But that was before. Before I discovered the magical world of pre-modern, or Republican era Chinese dramas! A few words of context: the so-called Republican era in China spans roughly between 1912, following the fall of the last imperial dynasty of the Qing, up to 1949 marked by the civil war and the arrival to power of the communist party. It was a turbulent era that followed over two thousands years of imperial rule in China. An era where the reminiscence of the past was confronted with the reality of war, political turmoil and instability. Chinese dramas set in this period, will either focus on some noble family difficult transition into modernity or stories of young officers raising to military power through wars and revolutions. I also include in this category some beautifully crafted dramas set in the Roaring twenties (1920 & 30) in Shanghai bathed in Fox Trot music, cabaret style singing, short female haircuts and gorgeous decadent dresses (imagine the Great Gatsby visiting China). Needless to say, these pre-modern dramas capitalize on everything we love in historical dramas, minus the dreadful Korean hats and half-bald hairstyles. 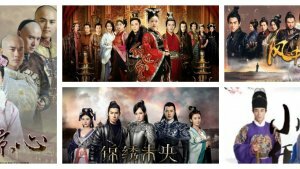 If you have not yet entered the world of Republican era Chinese dramas: stop whatever you are doing and get started! Binge watching is guaranteed! I will introduce you to my current top 5 favorite pre-modern, Republican era Chinese dramas. Pictures from ‘The Cage of Love’, a 2015 ZJTV drama. 'The Cage of Love' is a story of revenge that puts our upper-society characters in a perilous situation, stuck between family duties and love. The drama has authentically portrayed privileged families working in the textile business in the early Republican era. They are haunted by family grudges, suspicions of murder and treason. Within all this chaos, Wu Cai Hong, the daughter of a previously powerful textile tycoon, meets Jiang Yu, a ruthless businessmen consumed by revenge. Trusting of each other's real identity, the two lovebirds embark on a Romeo and Juliet style romance, tainted by Wu Cai Hong father’s murder investigation. The drama is visually stunning, authentic as it depicts the world of textile makers, full of angst yet funny and light at the same time. There are love triangles on both sides, even amidst unforgiving family figures. The drama goes beyond revenge and love, as it centers around the investigation of who killed Wu Cai Hong‘s father. And trust me – the answer doesn’t come easily. The drama does has its flaws, such as the main's female lead's acting skills, which leave much to be desired. On the other hand, the brilliant Hawick Lau does a masterful job. Overall, this is a very enjoyable and entertaining drama. For who? If you like revenge dramas spiced by forbidden love, this one is worth a try. Pictures from ‘Battle of Changsha’ a 2014 BTV drama. ‘Battle of Changsha’ is a family drama that perfectly illustrates the ‘slice of life’ genre. It is set up during the Second World War in 1942, at the peak of Imperial Japan's offensive in China and towards the end of the Republican era. It comes as no surprise, that this particular battle marks a great victory of Chinese forces, and is thus further romanticized through novels and TV. The drama follows the life of Xiang Xiang and her family during the war. It starts with a very unruly and immature female heroine, who along with her twin brother, always get into trouble to the great despair of their parents and grandmother. But the reality of war, and the drama faced by her family will deeply affect and change her. The drama is very well made. It even features some black and white, authentic documentary material beautifully integrated into the drama’s plot. The settings are meticulously created and all the actors did an amazing job. There is love, although it is not the central focus of the drama. But let me just say five words on that: Wallace Huo in a uniform! Wallace Huo plays a high ranking military officer from a privileged family. He is both respected and righteous. Watching him running around covered in dust, carrying an antique gun in the name of freedom, makes this a must watch. I won’t lie to you, the drama is dark and sad at times. But there is an epic feel to it, that keeps you coming for more. For who? If you're looking for a more mature and deep family drama, with war and complicated characters. Pictures from 'Too Late to Say I Love You', a 2010 HBTV drama. ‘Too Late to Say I Love You’ is a powerful and often violent drama. Set amidst a period of civil war and military unrest, it is the story of a rich merchant's daughter who falls into the grasp of a powerful and strong-willed, high ranking military officer, all while trying to save her childhood sweetheart and fiancé. Wallace Chung plays an officer blinded by desire, who goes to great extremes to get the woman he wants. 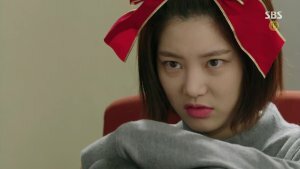 The drama doesn’t feature a love triangle, but is instead closer to a love square or pentagon. The love story is spicy and as explosive as one can hope. Even for me, some scenes and plot developments were borderline shocking, so sensitive people should watch this with caution. You've been warned! For me, the biggest flaw of this drama is its main heroine. Both the actress and the character she plays are slightly annoying. In her defense, I should mention that she is surrounded by characters with big egos and overwhelming personalities, which honestly can be stressful. For who? This is great for those looking for obsessive, overbearing love in a violent setting. Pictures from ‘Cruel Romance’, a 2015 Hunan TV drama. Despite the title, the love story in ‘Cruel Romance’ is rather gentle and romantic. In this drama we enter the dark world of Chinese gangsters and their internal war for power. The drama tells the story of Rong Jinxiu, an ordinary country girl who travels to Shanghai, after barely escaping from the brutal murder of her entire family. In Shanghai, she meets the devilishly attractive and dangerous, gangster leader, Zuo Zhen. Of course, they both fall in love. Set next to Zuo Zhen, who is an old style bad boy with a tender heart, the main girl is surprisingly not your usual, naive girl-next-door type. She has her weaknesses, but overall she handles her role well, while also being easy on the eyes. This drama is never boring because there is so much going on along with many plot twists that spice things up. Apart from the main OTP, the characters of Yin Ming Zhu - an attractive Shanghai singer, and the murderous Japanese officer Maeda Ryuichi, lift the drama to new heights. Maeda Ryuchi is officially one of my favorite evil drama characters. He's both manipulative and insane. Not only is he the psycho of the drama, but he is also ‘romantically’ involved. Tension guaranteed! For who? Those who like dramas with lots of action, plot development and intense love. Pictures from ‘Lady and the Liar’, a 2015 JSTV drama. 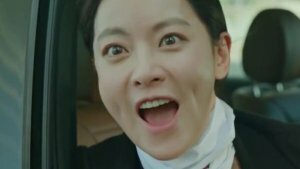 I wonder why among all these great dramas, ‘Lady and the Liar’ is still my favorite. Maybe it's because of its beautiful costumes and appealing setting of the still vain and carefree, pre-war Shanghai. Or maybe it's because my beloved Hawick Lau plays the role of a powerful gangster lord, nicknamed the ‘ Wolf’. Also, despite the naive plot elements, the story flows naturally. ‘Lady and the Liar’ is set in 1930 Shanghai. It shows the story of Jiang Xin, a wealthy heiress who disappeared as a child and grew up in poverty. On the verge of finally being reunited with her loving, rich family, she gets into an accident. Not only does she lose her memory, but she also gets her identity stolen by a scheming female thief, Du Xiao Han. In the midst of this family drama, the ‘Wolf’, bewitched by our main girl, will take advantage of the situation. For who? This is perfect for those who have a weakness for gangsters and visually pleasing dramas that contain elements of obsessive love. I can’t finish this top Pre-modern Republican era drama list without mentioning two dramas that are still on my 'Plan to Watch' list. I haven’t seen them yet because either they haven’t aired yet or no subtitles are available for them. I watched only one episode of A Beauty in Troubled Times (or Luan Shi Jia Ren). It's a drama starring set in 1930 Shanghai. It is definitely promising. It is supposedly a drama of complicated love plots and hardships. But the promise of intense love and the pre-modern setting is what appealed to me. It is either an underrated, or a disappointing drama, because the subtitles for it are still nowhere to be found. As for Sparrow, I recently saw a trailer for it and it looked EXTREMELY good. The drama is set in revolutionary Shanghai, and follows a secret agent called ‘the Sparrow’. Screenshots from ‘Sparrow’ a 2016 Hunan TV drama. Have you watched any dramas from this list? Which one is your favourite and why? 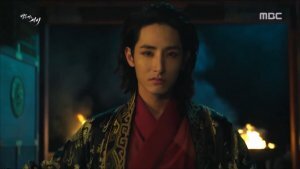 Any other pre-modern Chinese dramas you loved?